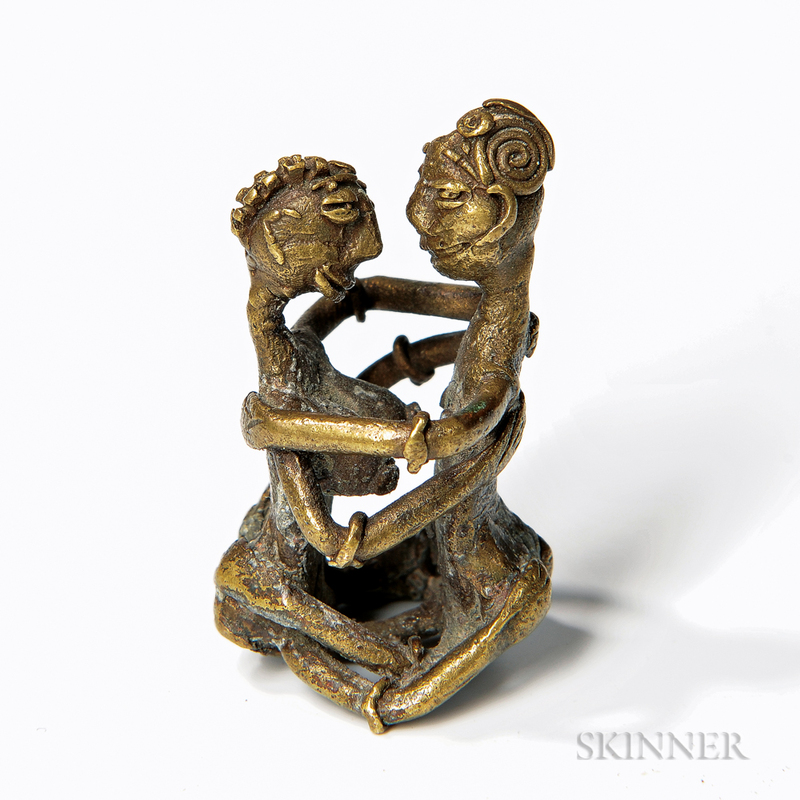 Akan Goldweight of a Couple Mating, two cast brass seated figures in an amorous embrace, ht. 1 3/4 in. Provenance: Newman Collection, New Jersey; Sotheby's Parke Bernet, New York, October 10, 1975, Lot 125; Jay C. Leff Collection. Literature: Male and Female: Couples in African Sculpture, Los Angeles County Museum of Art, 1983, p. 14. 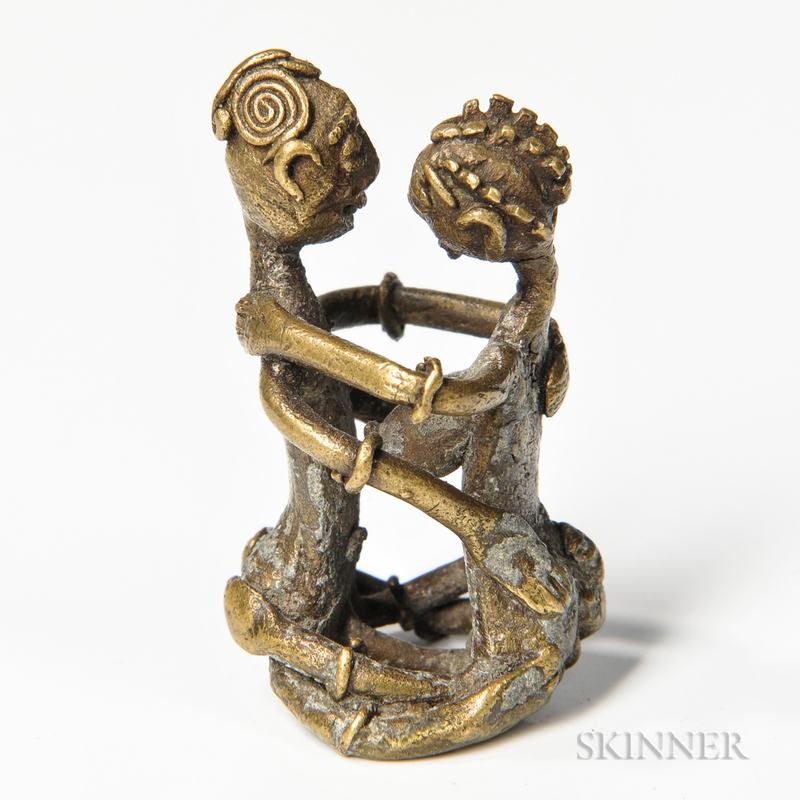 Exhibitions: Asante Goldweights, Montclair Art Museum, Montclair, New Jersey, February-April 1988; Male and Female: Couples in African Sculpture, Los Angeles County Museum of Art, 1983; M.P.A., no. 66; Carnegie, Black Africa, no. 131.